Through its People, Technology and Service, PTS Diagnostics creates health innovation that drives action and connects people to improved outcomes. As a comprehensive point-of-care diagnostics company, we design, manufacture, and market products for distribution in more than 135 countries around the globe. With an extensive and expanding patent portfolio, PTS Diagnostics' fingerstick, point-of-care blood collection, diagnostics, and information management products are widely used for testing heart disease, diabetes and more. Our unique product offerings bring certified accuracy, precision and speed together. PTS Diagnostics is innovating the point of care. 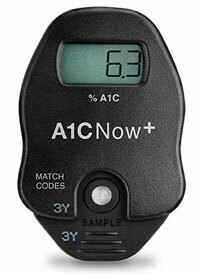 The A1CNow+ system provides healthcare professionals with a fast and easy way of obtaining accurate A1C results with just a fingerstick. This innovative technology enables clinicians to communicate face-to-face with patients about their diabetes control in minutes, not days. In addition, the A1CNow+ system is fully reimbursable. 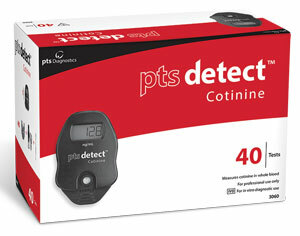 The PTS Detect™ cotinine system has innovated tobacco-use detection with a handheld device that offers specific, reliable, accurate and fast results at the point of care. Measuring exact blood cotinine (a byproduct of nicotine) levels from 25 ng/mL to 200 ng/mL in 5 minutes, the PTS Detect system substantially reduces the need for confirmation tests. All this from just a small fingerstick. All this at the point of care. 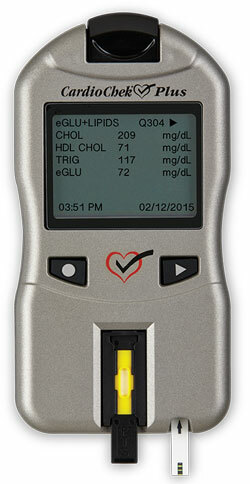 Recognizing the linkage between heart attack, stroke, and diabetes, the CardioChek® Plus analyzer provides rapid on-site lipid panel plus glucose screening to help identify at-risk individuals. The capability to deliver both results in as little as 90 seconds enables healthcare professionals to improve their throughput, which is particularly important in today’s health promotion/screening environment. Flexible - Measures total cholesterol, HDL cholesterol, triglycerides, and glucose. Also calculates LDL, TC/HDL ratio, LDL/HDL ratio, and non-HDL cholesterol.